It now seems clear to me why the Flash Player has been removed from the iOS devices, from MacBook pro, etc. It’s more a personal war than a technical issue because Apple started to blame Flash only once it started to be a leader in the mobile market. I don’t want to go deeper into this discussion though, I’ll leave readers to make their own opinion about this. I would, however, love to share my vision about the future of the Flash Platform as I see it, and even more relevant to me, the future of Flash developers. Delivery of expressive content (particularly games and video) in the browser on the desktop via the Flash Player. The future of the Flex Framework is not yet well defined. The only thing that is confirmed so far is that the entire project, including compiler and close source components, will be donated to an open source foundation. Adobe will take care of Flex by donating some engineers to the project, but it will actually be the community of Flash developers who will drive its future development. What is the possible marketing strategy behind this decision? Does it make sense to release Flex and all its components as open source? Where is the Flash community today? Adobe’s future seems more about controlling what a user watches rather than delivering the content itself. The company is much more focused on the development of software that manages digital rights and no longer considers development tools as its primary business, with an exception for the industry standards (i.e. Photoshop, Illustrator, Acrobat, etc.) Just to clarify I would like to focus your attention on what’s happening around video and other digital goods. For streaming video, HTML 5 with open codecs is fine, but in order to control who can see that video a developer needs technology from Adobe or similar. It is happening in the same way on electronic books because most of them are delivered using the ePub format which is Adobe owned (but happily shared!). As a consequence, the major vendors rely on Adobe’s Digital Edition DRM to protect and distribute their content. Flex has been open source for a while now, but the new upcoming distribution under an open source license of important parts like the compiler is great news for all the developers. What does not make too much sense to me is that the Flash Player and the AIR runtime are not open source. Without the runtimes released to open source, the future of the Flash Platform still depends on Adobe’s willingness to participate and not on the community’s strength. The opinion of most of the Flash developers is that Adobe’s marketing is pretty poor. I disagree because with the release of all the components around Flex under an open source license, Adobe cut the costs and keep the control of one of the most promising, and at the same time powerful, technologies of the past ten years. Since the beginning of Flash or even better, since Macromedia owned the software and the player, the community was the strength of Flash itself. However, there are a lot of good reasons why Flash Platform developers can be confident of their future. Let’s explore them starting from a development point of view and ending with a practical point of view. One of the most powerful features of CSS3 is the transformations. Flash platform developers are used to this kind of thing since Flash 8, about five years ago. Practically speaking, a Flash platform developer shouldn’t be worried to learn a concept that he/she is already used to. Same for the transitions, I’m pretty sure that the Flash platform developers are very familiar with them and know better than others how to use transitions without creating performance issues. On the HTML5 side, they introduced canvas, but it’s no more than the stage of Flash when Flash MX came out with drawing API and other features pretty simple to understand for Flash Platform developers. Another important feature that comes with HTML5 is the video tag. Also in this field, Flash platform developers are some of the most expert, because the video revolution on the web started with Flash Player 7. Flash platform developers are used to changes, in the past ten years we can count at least five versions of the Flash Player and three different versions of the scripting language. On the other side, HTML can count one new version in twelve years. So there is an attitude of change that is part of the Flash platform developer’s culture. From a practical point of view, the Flash Player is the only means developers have so far to handle DRM, to create multi user applications, to build 3D online games without any cross browser issue, and to create mobile applications very quickly (i.e. mobile RAD), etc. For this reason I strongly believe that an enterprise web project cannot be handled only with HTML5/CSS/JS and so I assume that there is still enough room for Flash platform developers. In the past years I have had more than one customer ask my company to work on a multi-screen web site. The solution we offered to the customer was not to use Flash on any device, instead we created a fully dedicated mobile web site based on HTML5/CSS/JS, a desktop web site based on Flash and native applications to enhance user interaction on both of them. The right solution for a customer’s needs often doesn’t rely on a single technology but on the correct usage of several. The future for Flash platform developers is still very promising because when working on HTML5/CSS/JS they bring years of experience in rich content development. On the other side, Flash and its native language can still be used to make very good software. 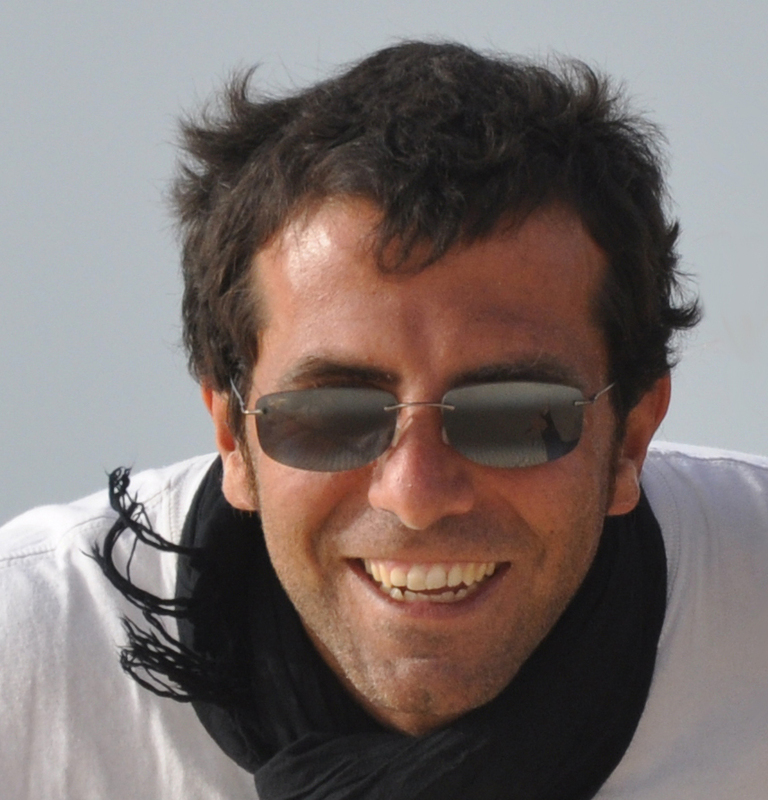 Giorgio Natili is an Adobe community expert, a W3C member and a Java User Group manager. He is head of his own company GNStudio , which has been operating in the web development field for the past 10 years. His area of expertise focuses on Adobe Flash, Air, Flex, ColdFusion, Flash Media Server, RED5 and their integration, as well as accessibility both in html and Flash. In the last five years his interests have broadened to include developing mobile applications and e-learning tools. For this reason he has worked a lot with Flash Lite and Symbian C++, and most recently is focusing on Android development. He has followed agile development practices for three years and has a lot of experience as a technical leader in small / medium size teams. He also works on various education initiatives to spread awareness on accessibility issues, especially to flash developers. He attended as a speaker the Adobe Max, the 360|Flex, the FITC, several Flash Camps all around the world and was recently a speaker at Flash and The City in New York. Hi Giorgio, your article capture a good panorama from flash dev’s point of view. But I’m afraid that, unless Adobe changes the trend positively in some way, the Flash future is pretty marked. I’m starting to look things from a different point of view and not looking too much anymore to Flash but to ActionScript. ActionScript is the language with which you can do mobile app and CSx extensions, so also if the Flash Player will be not anymore the super star on the web the Flash Platform is still a valid solution for most of the enterprise and gaming apps. Just a quick note, here http://www.movabletype.org/documentation/system-requirements.html you find a CMS that is made up with PERL, several years ago this language has beed stated as dead, it seems to me that pretty popular online magazines use this CMS so also PERL is not yet dead. For converting Flash videos to Avi I use this software: http://www.flvtoaviconverter.com. It’s very easy to use and makes quality video.